We found 3 episodes of On A Roll with the tag “conventions”. Hanging out at PostApocalypticon at Dicehead Games and Comics, the Curmudgeon and the Legend sat down with game designer Jamie Chambers to talk about his new 5th Ed adventure, A Delve in the Cave. Ryan and Carie also talk with Jamie about his early online role with TSR and his experience writing licensed gaming products. The Favorite had to work, so The Curmudgeon and the Legend went to Lexicon, an amazing gaming convention in Lexington, Kentucky. After playing in some tabletop games there, they bring in the show's first guest, The Pollack, to talk about convention games. 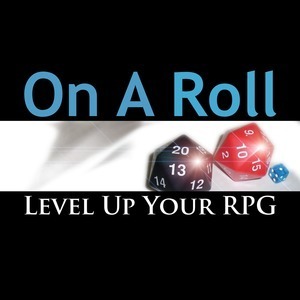 Covering everything from planning, promoting and actually running a con game, Ryan, Carie and Chris do their best to figure out the formula to make running and playing con games be as much fun as possible.